Our friend and her dog. 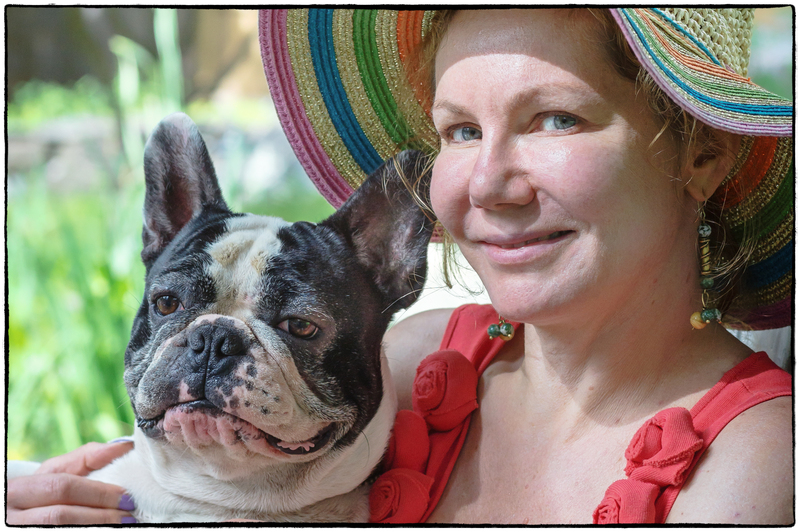 He’s a French Bulldog and every year she has an outdoor birthday party for him – last year with a band. Our previous dog, Jackson didn’t get on with him at all. Jackson was smaller, but extremely aggressive with other dogs (he was part Jack Russell terrier). After being barked at and generally harassed for a while Jackson turned the tables and chased him up onto the back of a sofa. Our present dog, Harley, being more sweet tempered, gets on better. This entry was posted in People, Wildlife & Animals. Bookmark the permalink.